Catch ‘em, observe ‘em and release ‘em! Your child’s interest in the environment will fly high with this child and wildlife friendly Butterfly Catch and Release Kit! 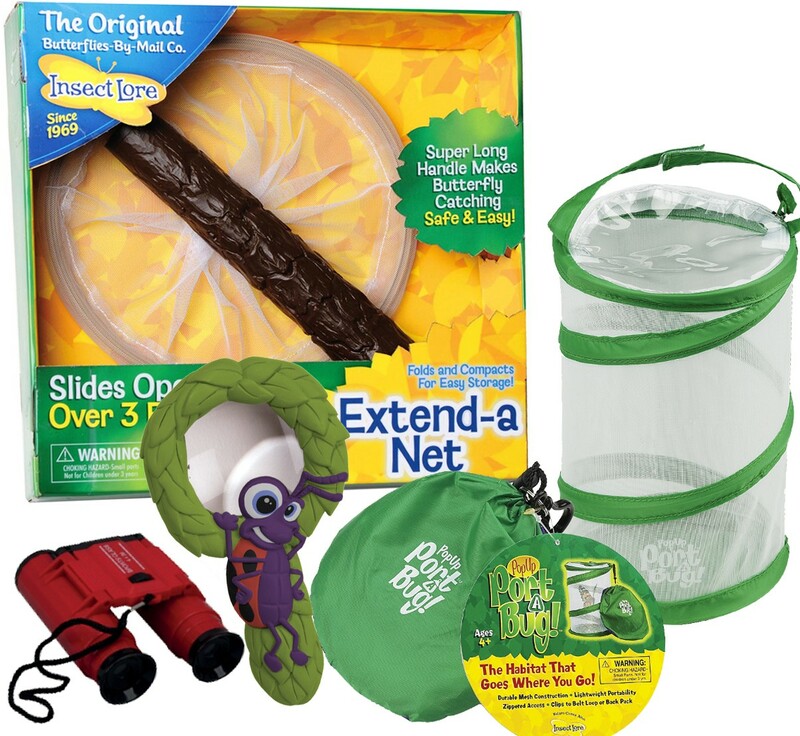 Put together Insect Lore's Pop-Up Port-a-Bug, Bugifier and Extend A Net then combine with child friendly binoculars and what do you get? The Butterfly Catch and release set! This gear makes it easy to catch, examine then release your butterflies and do it all again!